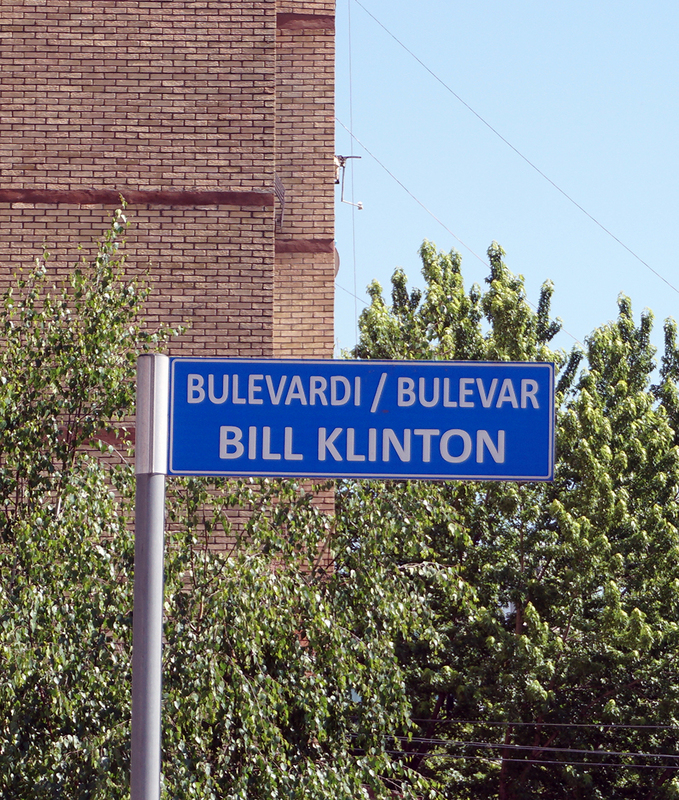 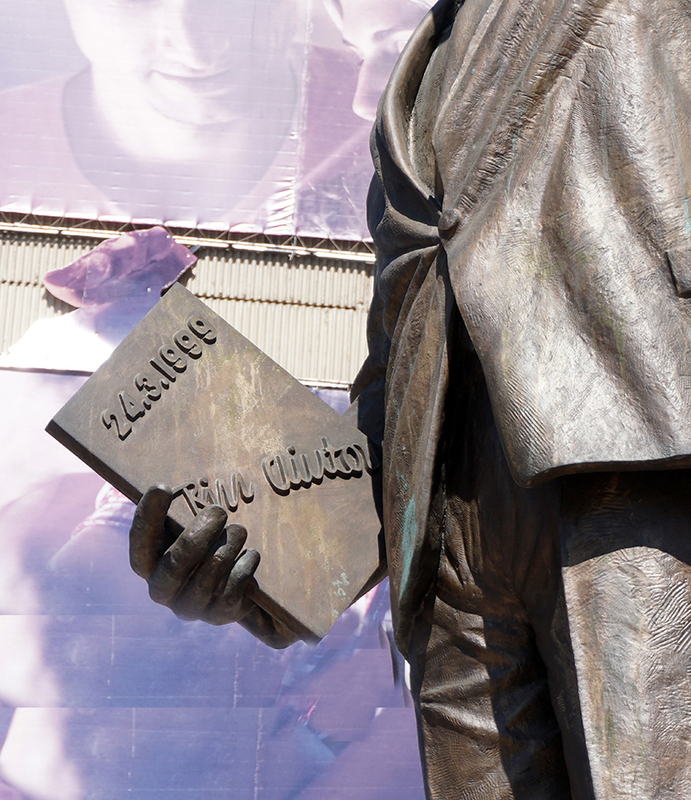 I’m in Prishtina, Kosovo, on “Bill Klinton Boulevard” admiring the Bill Clinton Statue. 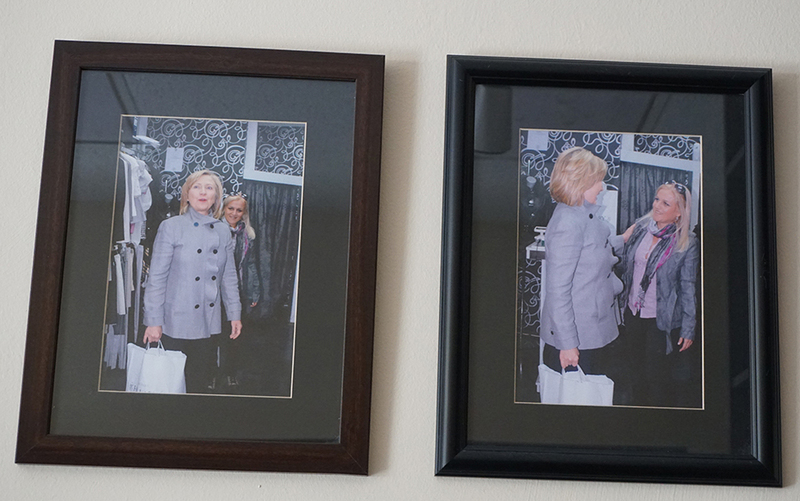 A few feet away is the “Hillary” dress store, which proudly displays photographs of a visit by Hillary herself in 2010. Why are the Kosovars so fond of the Clintons? 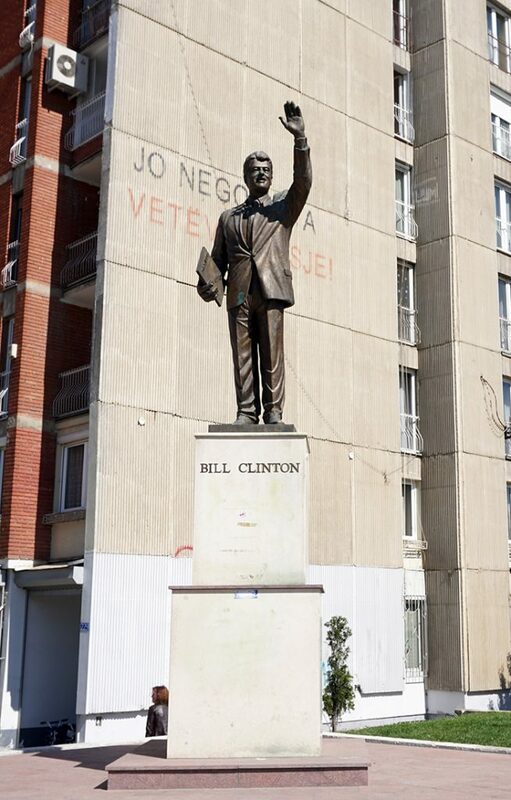 The answer is on the document in Bill’s hand, dated 24 March 1999, which is when NATO, led by the USA, launched air-strikes to protect the Kosovars from a wave of ethnic cleansing launched by the Serbs. 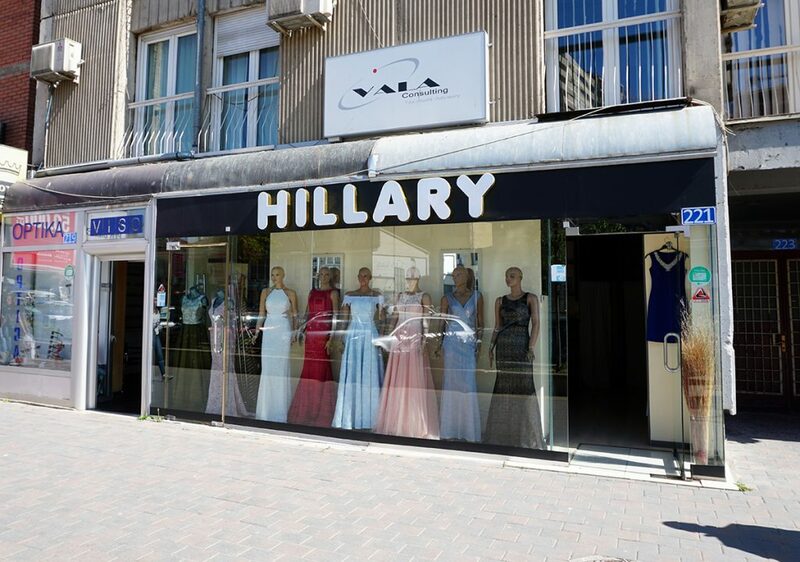 A nation-saving intervention for which the Kosovars remain grateful.